I'm 13 years old and I have only just begun my Eric Clapton 'fanning'. It started when I downloaded Layla as a MIDI file for my Keyboard. My dad said that he had loads of Clapton LPs and played a few to me. Within a week I have become quite fond of his music. 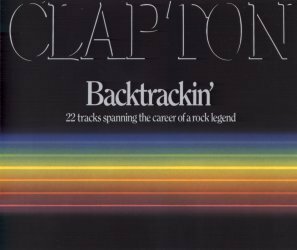 Backtrackin' was the first album dad played to me. I thought it was fantastic. If you have a good Hi-Fi you could change the type of music it is (eg. Rock, Dance, Pop, etc.). I found that most of Backtrackin' sounds better on JAZZ setting. But however you play it, it's a great album.